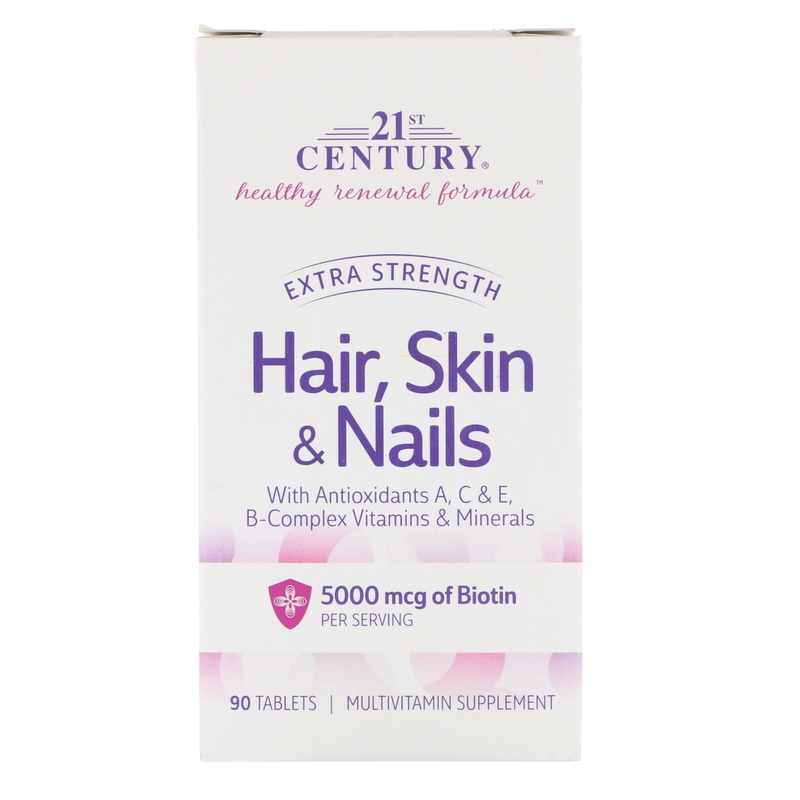 21st Century Healthy Renewal Formula Extra Strength Hair, Skin & Nails works to help support your natural beauty from within. 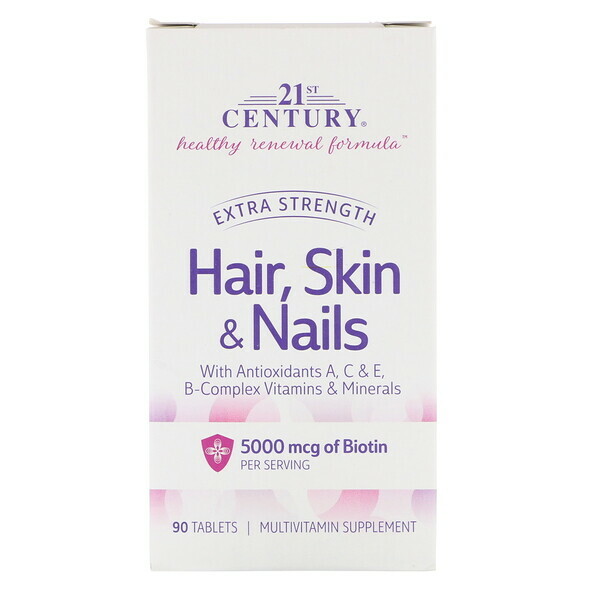 Biotin and Vitamins A, C, E are the nutrients needed to promote lustrous hair, strong nails and vibrant skin. 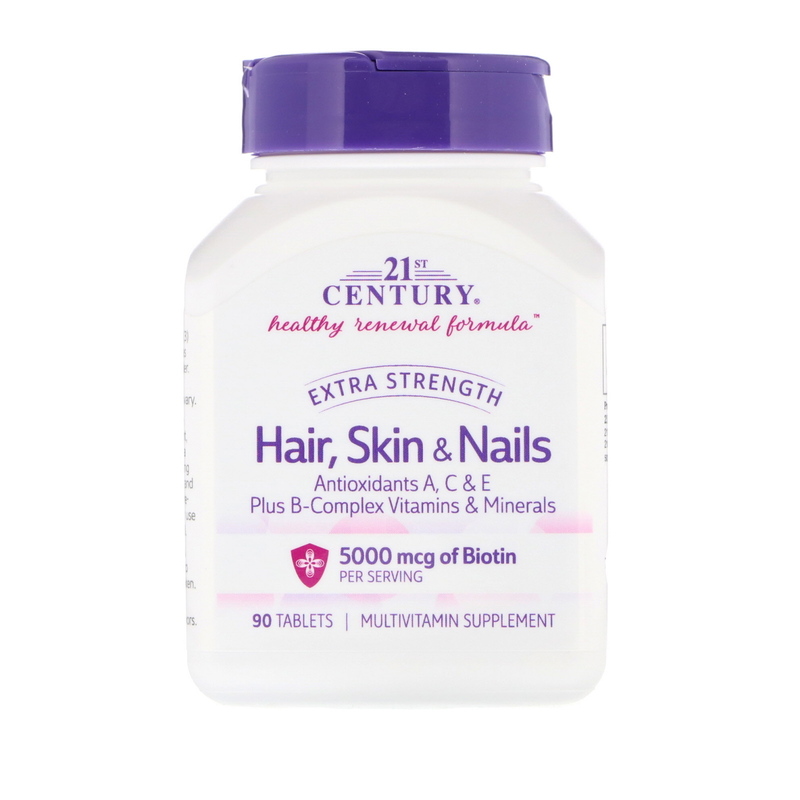 Biotin - Biotin is important for the maintenance of healthy skin and hair and supports nail growth. Vitamin A - Vitamin A promotes a healthy cellular membrane for healthier skin and overall health. Vitamin C - Vitamin C is an antioxidant that slows the rate of free-radical damage to promote vibrant skin. Vitamin E - Vitamin E helps red blood cells form and contributes to skin health. 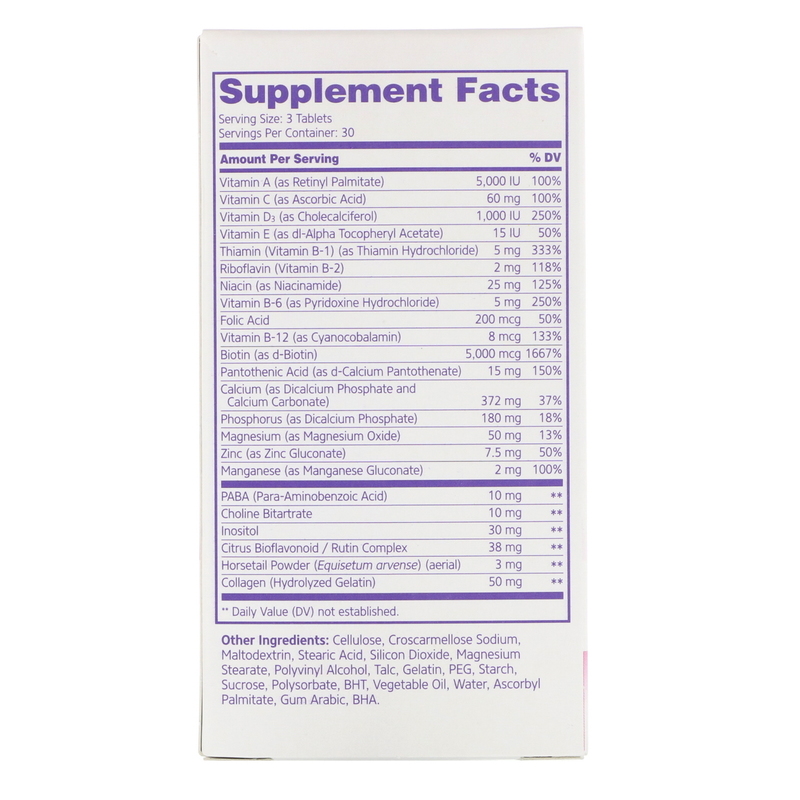 As a dietary supplement, adults take three (3) tablets daily with a meal or as directed by a healthcare provider. Do not exceed recommended dosage. Individual results may vary. Cellulose, croscarmellose sodium, maltodextrin, stearic acid, silicon dioxide, magnesium stearate, polyvinyl alcohol, talc, gelatin, PEG, starch, sucrose, polysorbate, BHT, vegetable oil, water, ascorbyl palmitate, gum arabic, BHA. No added salt, yeast, or artificial flavors. Consult a healthcare provider prior to use if pregnant, nursing, on medications, have a medical condition or are planning a medical procedure. Stop use and contact a physician if adverse reactions occur. Not intended for use by persons under the age of 18.